It’s hard to stand in front of “Starry Night” or “Irises” and not ask yourself, “What would it be like to see the world through Van Gogh’s eyes?” “Loving Vincent” takes us into Van Gogh’s imaginative mind, integrating the story of his life and death with his artwork in a stunning feat of fully hand-painted animation. The film, taking place shortly after Vincent Van Gogh’s death, begins by introducing us to a reluctant Armand Roulin (Douglas Booth) who is tasked by his father (Chris O’Dowd), a postman, to deliver Van Gogh’s final letter to his brother, Theo Van Gogh. We follow Armand in his journey through France, from Paris to the village of Auvers-sur-Oise, where he finds a small community dealing with the aftermath of Van Gogh’s suicide. As he learns more about the people of the town and each individual’s relation to Van Gogh, he begins to piece together fragments of Van Gogh’s life and death. In an attempt to answer the postman’s musings on how a man could go from “being absolutely calm to being suicidal in six weeks,” the film chronicles Van Gogh’s tumultuous life through flashbacks narrated by the talented voices of Dr. Gachet (Jerome Flynn), Marguerite Gachet (Saoirse Ronan) and Adeline Ravoux (Eleanor Tomlinson). 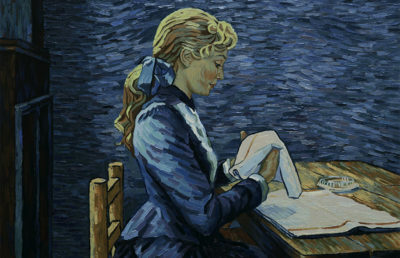 As the individual accounts reveal often conflicting views of Van Gogh’s life regarding arguments he had with Dr. Gachet and Theo — whether he had a love interest, his loneliness and the possibility of foul play in his death — the film confronts the idea that we will never know what exactly drove Van Gogh to kill himself. 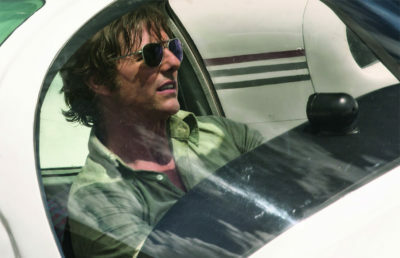 The film falls short in narrative at times, moving rather slowly. As Armand grows more fixated on figuring out the exact circumstances of Van Gogh’s death, the film at times borders on turning the story into an investigation into Van Gogh’s death, rather than a meditation on Van Gogh’s life and legacy. But it generally remains focused on a celebration of his accomplishments, as Directors Dorota Kobiela and Hugh Welchman are careful in their depiction of grief — the film doesn’t turn into a eulogy, but leaves the viewer to juggle the beauty, tragedy and legacy of Van Gogh. But where the film absolutely shines is the innovation in the animation. The artwork of the film manages to be impressively diverse — scenes from the present are composed of Van Gogh’s characteristic vibrant lines, while flashbacks to his life are in grayscale, and painted in a more smooth realistic fashion. It’s only when Van Gogh is no longer alive that we view the world in his style of art, emphasizing the persistence of his legacy through his art that continues to the present. There are moments when the film will transition into the exact frame of a Van Gogh painting. 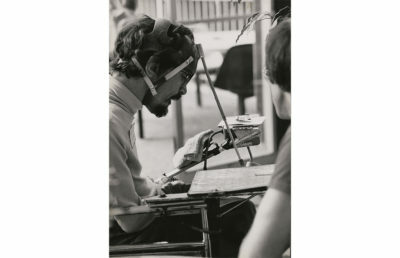 In the first few minutes of the film, the camera follows Armand into a cafe and snaps to a lingering frame of “The Night Café” — the angled-down view of an empty pool table and the lonely stragglers left in the cafe. In these short-lived instances, it almost feels as if we’re transported back to a museum, viewing the painting itself. Yet the narrative continues, the characters enter and exit, the camera pans — we’re reminded that the art represents snapshots of his life. The animation is simply beautiful, especially in the details. All the lamps are drawn with rings of warm, pulsating yellows and oranges, the stars in the night sky twinkle from frame to frame, and the individual paint strokes are always changing, whether as part of the landscape, the folds of a dress or the shadows on a face. In this way, we never lose a sense of movement in the film that gives it a mesmerizing, dreamlike quality. At 12 frames per second, the choppy movement of the scenes in combination with the rich and textured oil brush strokes can at times feel a bit dizzying, but the frequent jumps to the past with the contrasting realistic style makes sure the film never becomes hard to watch. With each frame a hand-painted oil painting, “Loving Vincent” pays homage to the life of Vincent Van Gogh through his own work. Accordingly, each scene of the film feels driven with intent, taking us through a surreal journey that explores Van Gogh’s loneliness and despair that drove him to suicide, while still celebrating his love of his craft and the unique way in which he saw the world. 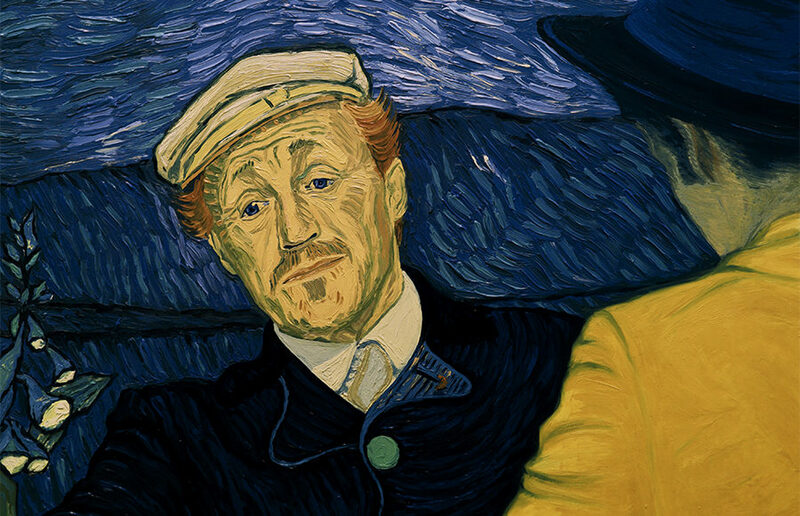 “Loving Vincent” is playing at Shattuck Cinemas starting Oct. 6.